This really wasn’t a bad way to end the first part of LWA and set things up for what should be an exciting second half. The little scene before the ED appeared to be the first sign of a real antagonist for the story. 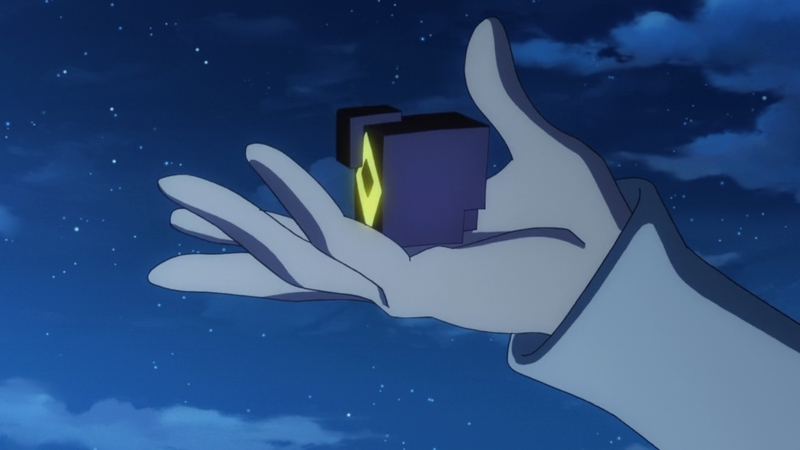 That strange string of cube shapes looked almost identical to something we saw in episode 1. The cubes look like the ones that created the strange creature that Chariot defeated as part of her ‘performance.’ Now that gives the impression that it wasn’t at all part of her performance, but rather Chariot having to fend off a dangerous attack during a show. If nothing else that could be the answer as to why Chariot retired. Her shows were coming under attack and she couldn’t put innocent people in harm’s way. 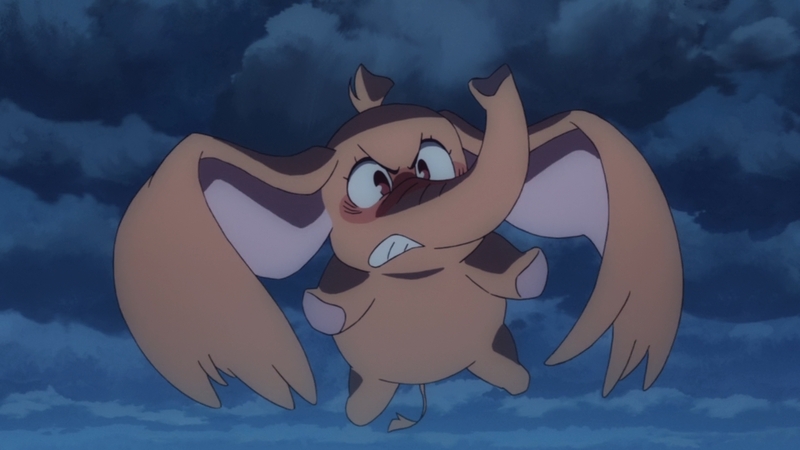 This episode also was important for Akko getting a chance to shine and move forward. There is an interesting situation developing around Diana right now. She ends up with the victory as the Moonlit Witch, but it feels hollow. 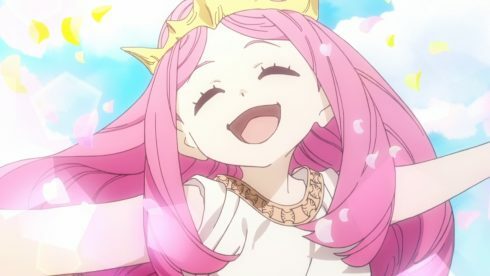 Her summoning magic was amazing and honestly you could believe her winning just based on that. However, Diana herself doesn’t appear satisfied. Those in charge disqualified Akko’s group from the voting because they didn’t stick to the script. Things ended up that way even though they elicited a strong reaction from the crowd. Of course Diana could have still won, but it has to feel awkward. I just wonder how things will play out going forward and whether someone might take advantage of Diana’s unsettled feelings. This isn’t the first time Diana has been stuck with praise she couldn’t enjoy. The butterfly incident was also similar to this. 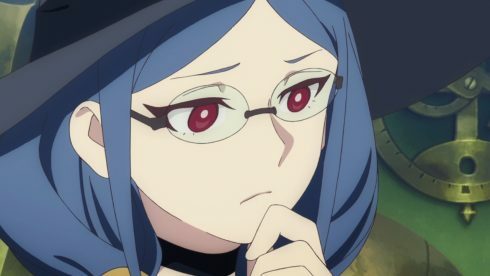 And all of this comes after she was joining the Akko put down party in this episode. The results of their performances very much fit them. Diana is unbelievably good and she can elevate things within the rules. She followed the rules, but her abilities made her stand out. 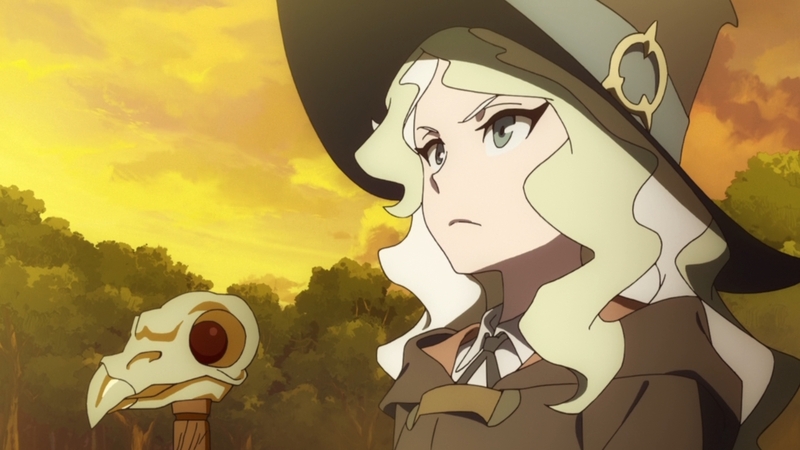 While Akko’s abilities aren’t fantastic, but her willingness to bend or break the rules allows her to stand out. Whether it was cheering or enjoying laughter, people were invested in both of their shows. The conflict with the ghost was interesting in a few ways. That she cursed herself is something I wouldn’t have expected. It certainly shows how strong feelings and positive relationships can backfire sometimes. Vajarois was so attached to her friends that she chose to curse herself rather than pass peacefully and forget them. It isn’t wrong to treasure bonds and special people, but if you only make yourself miserable it isn’t healthy. All those memories were somewhat wasted because she couldn’t even enjoy remembering them. I think in the end that Princess understood this and thus was able to pass on with a smile. 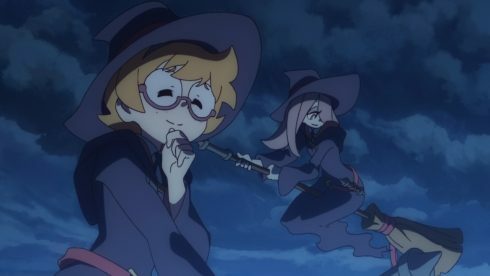 And she is lucky that someone as crazy as Akko was willing to go so far and not simply get eaten like everyone else was. And that show was pretty fun. 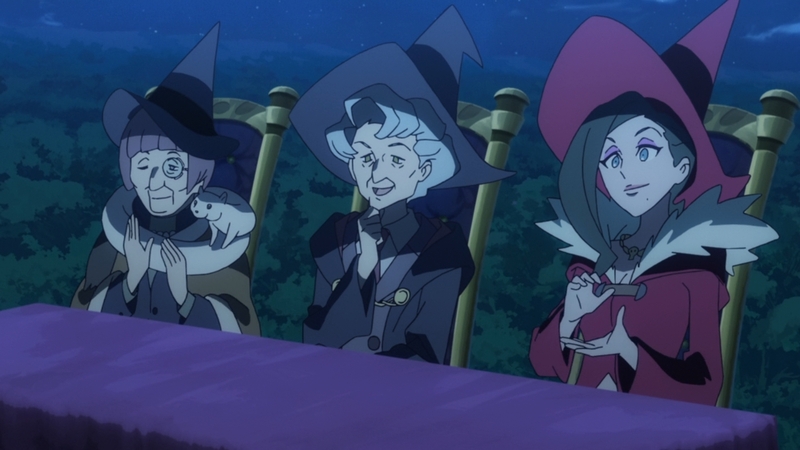 Akko did manage some decent transformations. There is still so much room to grow for her, but she’s able to use her weaknesses to her advantage. The whole event (minus the summoning) to that point had been utterly boring. What is the point when no one is enjoying it? The crowd wasn’t into it, the special guests were bored, and even the teachers were yawning. Pointlessly following precedent can lead you to miserable situations. Good on Akko for not letting everyone hesitating get in her way. Trying to break out of the frame established by the past allowed for a happy ending. 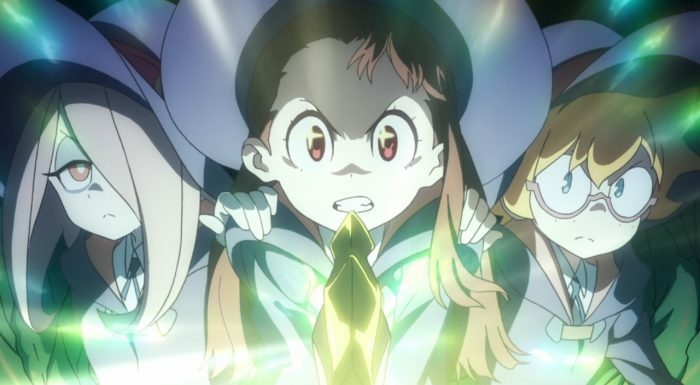 Akko may not have reached her initial goal, but she did strengthen her bonds. 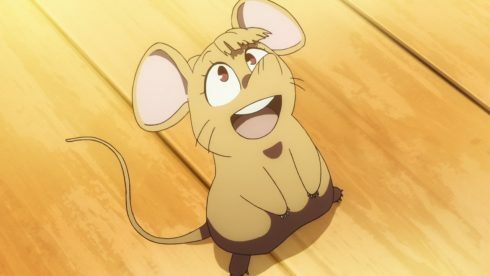 I hope people can at least appreciate Akko more after this. Her magic still needs work, but she did get everyone into the event and laughing. While this wasn’t the best episode of the show it is an important one. We’re finally getting an image of a threat facing Akko (or maybe more immediately Chariot). 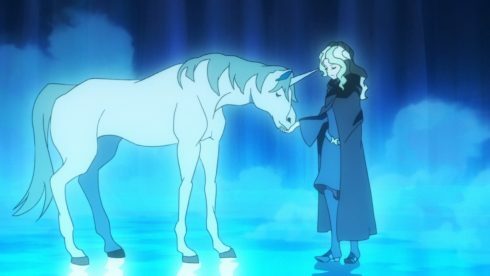 Thanks to Ursula’s efforts Akko was able to resolve a long standing curse. 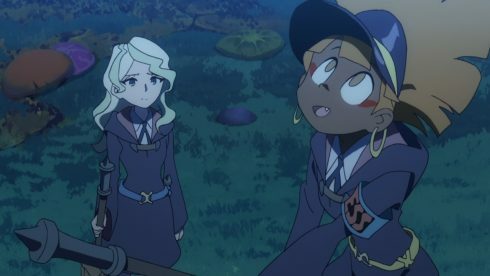 I’m sure that in the end Akko is glad that her friends were with her and that people got into it. Winning specific titles or races isn’t what made Chariot the person Akko idealized. It was her ability to make people believe in the fantastical potential of magic. Here’s hoping they carry forward with this. 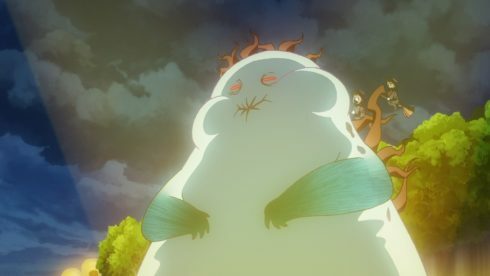 I want to see more from this mysterious figure and find out just what is going on. Akko has revived one more word and still has 4 more to go. It should be a fun ride in the second half of this show and hopefully we’re all blown away by what happens.